Former Alberta Agriculture and Forestry researcher Jim Helm isÂ awarded the prestigious American Society of Agronomy Distinguished Service Award. This award is given only to highly distinguished nominees that have made a transformational contribution to the agronomy profession. 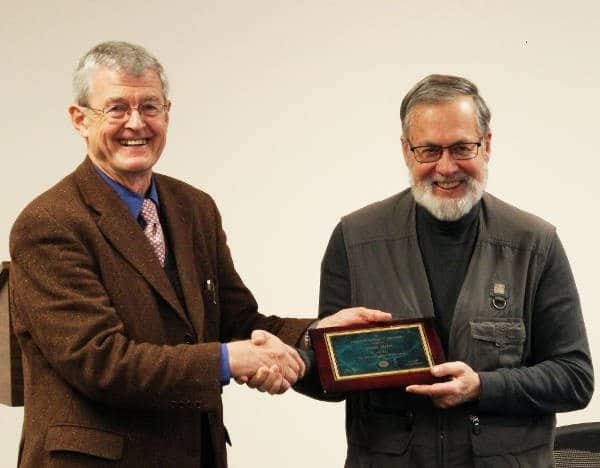 â€œJim Helm is a household name among cereal breeders and scientists worldwideâ€ says nominator John Ryan, former soil scientist with the International Centre for Agricultural Research in the Dry Areas. Helm spent over four decades as head of research at the Field Crop Development Centre, located in Lacombe, and oversaw the release of 42 cereal cultivars bred specifically for conditions in Alberta and Western Canada, including 32 barley varieties, nine triticale varieties, and one winter wheat variety. â€œWhile this award is primarily a credit to Jim, itâ€™s also a credit to his colleagues and the Centre here in Lacombeâ€ says Ryan. Born and raised in Washington state, HelmÂ had the opportunity as a masterâ€™s student to work with legendary Nobel Peace Prize winner Norman Borlaug at Washington State University. 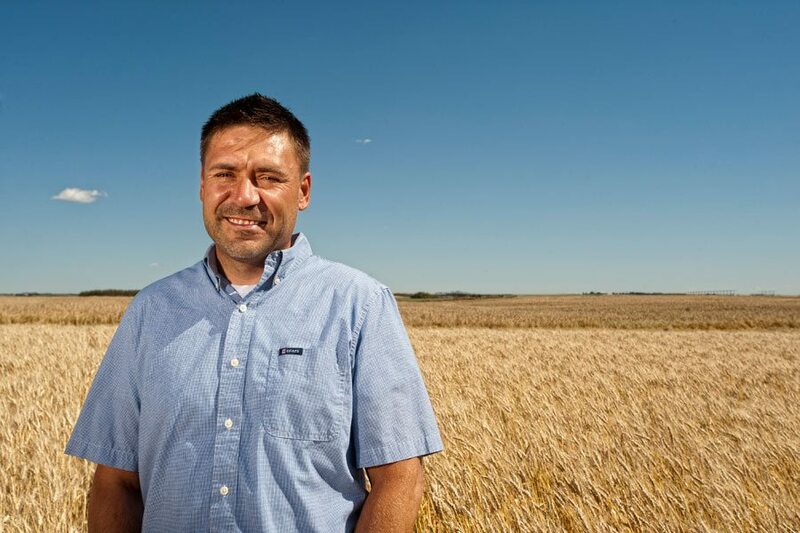 After obtaining his Ph.D from Oregon State University, Helm found his way to Alberta in 1973 to become the sole worker at the brand new provincial barley breeding program, later known as FCDC. Under Helmâ€™s leadership, the FCDC grew from its humble beginnings into a world class cereal breeding facility, with 10 scientists and over 30 staff working in pathology, biotechnology, quality, and breeding labs. Initially focusing on feed barley, the FCDCâ€™s breeding programs have since expanded to include malt barley, spring and winter triticale, and wheat. Helm retired from FCDC at the end of 2014.Â HeÂ has also received the Canadian Society of Agronomyâ€™s Distinguished Agronomist award, the Alberta Centennial Medal for outstanding service to the people and province of Alberta, the Alberta Science and Technology Award for Innovation in Agricultural Science, and was inducted into the Alberta Agricultural Hall of Fame in 2002. Canterra SeedsÂ announces its CS Camden oat has been added to the list of recommended varieties by Grain Millers of Yorkton, Sask. 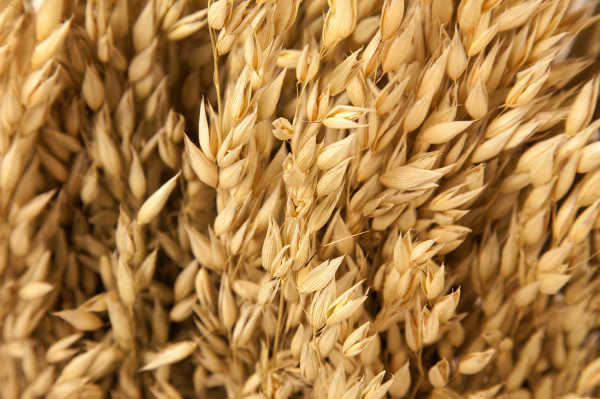 Grain Millers has completed the test-run of CS Camden oat, and are very satisfied with the milling performance. The mill yield from the sample was slightly higher than their average yields this year, and the variety was easier to dehull, making it smoother to work with in their system. Terry Tyson, Grain Procurement Manager for Grain Millers spoke positively about the milling results of CS Camden. â€œWeâ€™ve heard from growers how happy they are with the agronomics of the variety, and are eager to recommend it for milling in our operation,â€ he said. CS Camden oat was bred by Lantmannen SW Seed, and was tested by Canterra Seeds within their internal research program. It was registered in Canada in January of 2014. The oat variety is agronomically superior, with a shorter stature and better lodging resistance. CS Camden also boasts very high yields at an average of 114% of CDC Dancer (2016 SaskSeed Guide), and 153 bu/ac (Seed Manitoba â€“ 2016). Sales of CS Camden are expected to increase greatly this spring, now that milling quality has been confirmed by one of North Americaâ€™s largest millers. â€œItâ€™s great to see a high-class new oat variety come along. Weâ€™re excited to see genetics moving forward,â€ said Tyson. Canary seed, which has been used almost exclusively as birdseed has received novel food approval from Health Canada as well as GRAS (Generally Recognized as Safe) status from the U.S. Food and Drug Administration. Producer levies paid to the commission over the past decade supplemented by various government programs have made food approval possible. Extensive compositional, nutritional and toxicological work was required. Canary seed flour can be used to make bread, cookies, cereals and pastas. 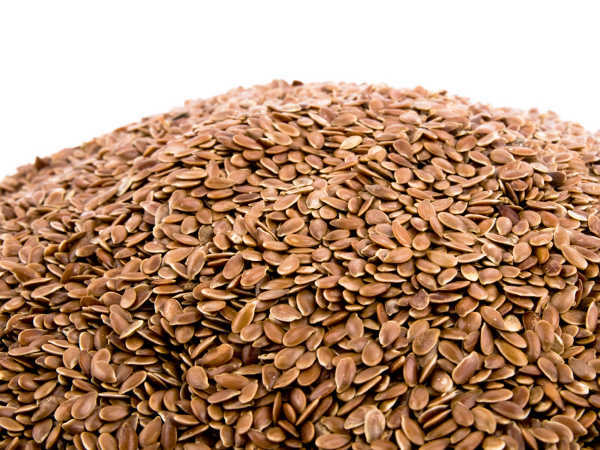 Whole seeds can be used in nutrition bars and sprinkled on hamburger buns in place of sesame seed. The approval covers glabrous (hairless) canary seed varieties, with both brown and yellow-coloured seeds. The glabrous varieties currently grown by farmers are brown when the hull is removed. Dr. Pierre Hucl, the canary seed breeder at the University of Saskatchewanâ€™s Crop Development Centre will be seeking approval for a yellow line at the variety registration meetings in February. Nutritionally, brown and yellow are very similar, but the yellow seeds are more aesthetically pleasing in many food products. It was Dr. Huclâ€™s work to develop glabrous canary seed that started the effort for food approval. Beyond the breeding, it was Dr. Elsayed Abdelaal, a member of Dr. Huclâ€™s team, who did the initial compositional, nutritional and toxicological analysis on the first hairless variety, CDC Maria, to show its similarity to other cereal grains. His work provided the core safety data for the Health Canada submission. While canary seed is gluten free, those individuals with a food allergy to wheat may also be allergic to a protein in canary seed. Canary seed and canary seed products for human consumption will have to be labelled with a statement such as, â€œThis product contains canary seed which may not be suitable for people with a wheat allergyâ€. The CDCS will establish a toll free number published atÂ www.canaryseed.caÂ where any adverse reactions to canary seed can be reported. These will be passed along to Health Canada annually. Another area of ongoing commission activity involves the approval of crop protection products. The food use approval is for dehulled canary seed. Commercial dehulling capacity may be required as food demand for the crop expands. Saskatchewan is the worldâ€™s top exporter of canary seed. 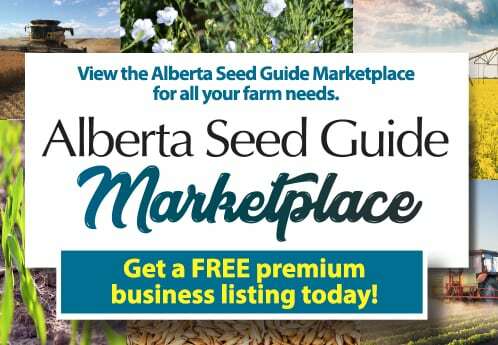 Nearly 2500 Saskatchewan farmers have marketed canary seed within the last three crop years. In 2015, an estimated 149,000 tonnes of canary seed with a farm gate value of roughly $90 million was harvested from over 300,000 acres. The Canadian Grain Commissionâ€™s plan for modernizingÂ Canadaâ€™sÂ wheat class system will move ahead with the implementation of 2 new classes and the elimination of 3 other classes in 2016, as well as variety designation changes in 2018. The new wheat classes, Canada Northern Hard Red and Canada Western Special Purpose, will take effect onÂ August 1, 2016. The Canada Western Interim Wheat, Canada Western General Purpose, and Canada Western Feed wheat classes will be eliminated onÂ August 1, 2016. Twenty-five varieties of Canada Western Red Spring and 4 varieties of Canada Prairie Spring Red wheat will move to the Canada Northern Hard Red class onÂ August 1, 2018. These steps reflect feedback from consultations in early 2015, followed by discussions with stakeholders on a proposed plan, as well as a scan of international markets conducted by Cereals Canada and the Canadian International Grains Institute. The Canadian Grain Commission carefully considered all feedback from breeders, variety owners, grain companies, producer groups, marketing organizations and end-use customers. OnÂ August 1, 2016, the Canada Western Interim Wheat class, which came into effect onÂ August 1, 2015, will be eliminated. Faller,Â ProsperÂ andÂ Elgin NDÂ will be designated to the Canada Northern Hard Red class. OnÂ August 1, 2016, all varieties in the Canada Western Feed and the Canada Western General Purpose wheat classes will be re-designated to the Canada Western Special Purpose class. The transition of 25 varieties of Canada Western Red Spring and 4 varieties of Canada Prairie Spring Red wheat to the Canada Northern Hard Red class will take place onÂ August 1, 2018Â instead ofÂ August 1, 2017, the date that was originally announced. The new date addresses stakeholder concerns about designating certain varieties to different classes before the value chain is adequately prepared. The 29 varieties are moving to the Canada Northern Hard Red class because they do not meet revised quality parameters for their designated classes. Health MinisterÂ Jane Philpott announces that Health Canada intends to stop granting new conditional registrations of pesticides as ofÂ June 1, 2016. 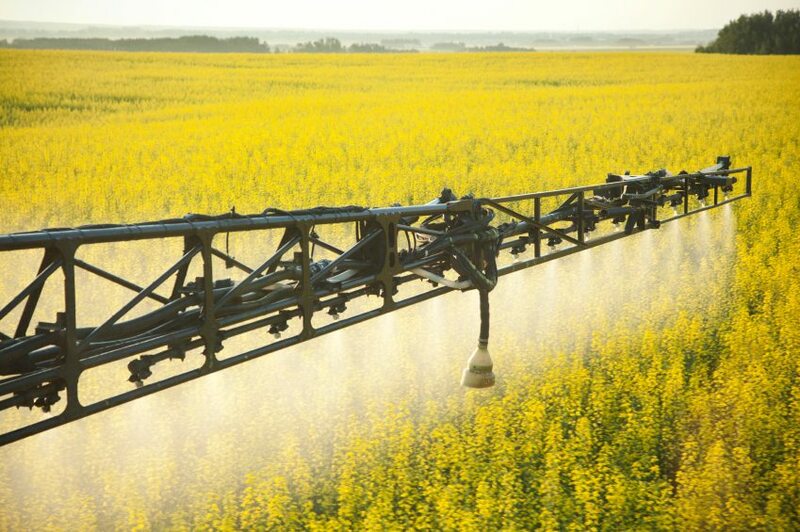 Pesticides are registered inÂ CanadaÂ only after a rigorous scientific evaluation determines no harm to human health, future generations or the environment will result from exposure or use, a news release stated. Conditional registrations have been granted on occasion when the scientific review determines that the risks of a pesticide are acceptable but that additional confirmatory information is required. Unlike full registrations, conditional registrations do not undergo a public consultation until the registration is amended, renewed or converted to a full registration. Moving away from conditional registrations will provide reassurance that all pesticide registration decisions are made with the same high level of scientific and public scrutiny, Philpott said. A Notice of Intent has been posted on Health Canadaâ€™s website and is open for comment for 60 days untilÂ March 19, 2016. The final decision will be published following the consultation once all comments have been considered. Through a continuing co-funding partnership with the Agriculture Development Fund (ADF) and other producer commodity groups, Western Grains Research Foundation (WGRF) announces $1.6 million of new funding for 12 crop-related research projects. Some of the projects approved for funding include: the screening and management of fusarium head blight in wheat and barley, enhancing the durability of clubroot resistance in canola, improving faba bean, pea and alfalfa varieties, investigating optimal inputs for management of flax, and quantifying the contribution of pulse crop residues to GHG emissions. A full listing of these newly-approved projects will be posted on the WGRF website once research contracts are signed. XiteBio addsÂ Shawn Rowson and Ryan Ortman as agricultural sales representatives for Western Canada. OrtmanÂ will be the representative for Saskatchewan and Alberta, based out of Saskatoon. RowsonÂ will be covering Manitoba and eastern Saskatchewan, based out of Winnipeg. Both come to XiteBio from previous roles in the agriculture industry that include FCL, Viterra, Patterson Grains, Farm Business Consultants, etc. 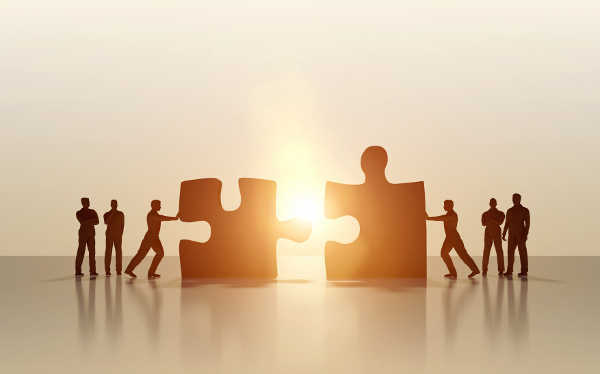 BothÂ will be working closely with the rest of the XiteBio team for a smooth transition into their new roles. The Alberta Wheat Commission (AWC) announcesÂ that a director-at-large election will be held during this yearâ€™s Annual General Meeting (AGM) on Jan. 27, 2016 in Edmonton, Alta. AWC issued a call for nominations in September for the director-at-large position and received nominations for: Kevin Bender from Bentley, Darrell Stokes from Hussar, and Jack Swainson from Red Deer, Alta. The director-at-large represents all five regions across Alberta and will provide strategic direction and leadership to the Commission on behalf of wheat producers. AWC has posted the candidate profiles atÂ www.albertawheat.com. Growers are encouraged to visit the website and learn about each candidate ahead of the AGM in preparation for voting. All eligible producers will be given a ballot at the AGM registration to vote for the director-at-large. An eligible producer or AWC member is someone that has sold wheat and paid a service charge or check-off to the Commission when making a commercial sale of wheat in the last two fiscal years. â€œThe board of directors encourages AWC members to attend the AGM to not only cast their vote, but to hear about the work the Commission has done in the past year and where our priorities are for the future,â€ added Erickson. The AGM will take place at 11:30 a.m.Â on Wednesday, Jan. 27, 2016 in Edmonton in Hall F at the Northlands Park, Edmonton Expo Centre. It is being held in conjunction with the FarmTechÂ conference, but growers or members of the public wishing to attend the AGM and cast their vote do not have to be registered for the FarmTechÂ conference. AGM attendees can proceed directly to Hall F.
An international consortium of scientists co-led by the University of Saskatchewan has been able to crack the code for understanding the order of about 90 per cent of the highly complex genome of bread wheat, the most widely grown cereal in the world. A combination of advanced software, computer programming and bioinformatics tools enabled the International Wheat Genome Sequencing Consortium (IWGSC) to use existing sequencing technologies to look at virtually the entire wheat genome. This will complement existing IWGSC strategies that are studying one chromosome at a time. The consortium expects to have the complete picture of the wheat genome puzzle (17 billion base pairs)â€”with a clear idea of how the genes are orderedâ€”within two yearsâ€™ time. Given that the wheat genome is five times the size of the human genome, previous estimates suggested this work would take four or five more years. 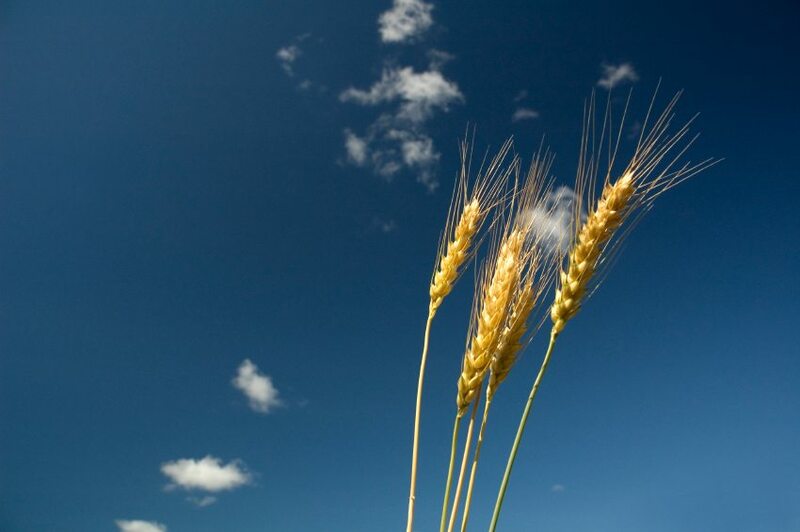 â€œThe computational tools developed by NRGene, which use Illuminaâ€™s sequence data, Â combined with the sequencing expertise of IWGSC has generated a version of the wheat genome sequence that is better ordered than anything we have seen to date.Â We are starting to get a better idea of the complex puzzle that is the wheat genome,â€ said Pozniak. The result will be much greater precision in the breeding process. 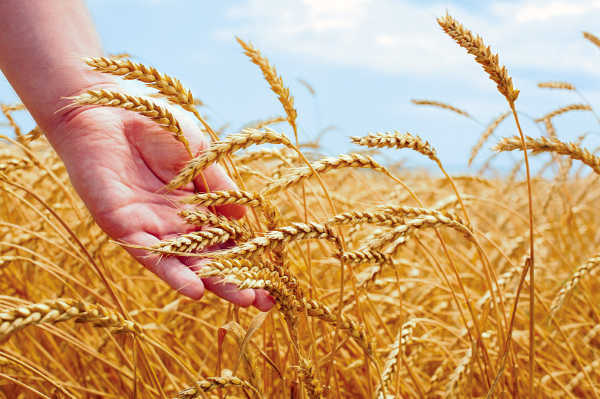 Though the work was done on just one variety of bread wheat (Chinese Spring), the new knowledge will serve as the backbone to unlock the genetic blueprint for traits in other varieties as well, significantly accelerating global research into crop improvement, he said. Nils Stein of IPK Gatersleben in Germany said the new sequence represents â€œa major breakthroughâ€ for the consortiumâ€™s efforts to deliver an ordered sequence for each of the 21 bread wheat chromosomes. Co-ordinated by the IWGSC, the project uses Israel-based NRGeneâ€™s DeNovoMAGICTMÂ software with Illuminaâ€™s sequencing technology. The public-private collaborative project is co-led by Stein, Pozniak, Andrew Sharpe of the Global Institute for Food Security at the U of S, and Jesse Poland of Kansas State University. Other project participants include Tel Aviv University in Israel and the French National Institute for Agricultural Research. Funding was provided by Genome Canada, Genome Prairie, Saskatchewan Ministry of Agriculture, the Saskatchewan Wheat Development Commissions and the Western Grains Research Foundation through the Canadian Triticum Applied Genomics (CTAG2) project; Kansas State University through the U.S. National Science Foundation Plant Genome Research Program; and Illumina, Inc.
IWGSC Executive Director Kellye Eversole said the preliminary results are impressive and will complement existing genomic information the consortium has gathered over the past decade. Making available the ordered sequence for each wheat chromosome that precisely locates genes and genetic markers along the chromosomes will provide invaluable tools for wheat breeders, she said. Results of this new approach will be presented at workshops at the Plant and Animal Genome Conference taking place in San Diego from Jan. 9 to 13. All data will be available in theÂ IWGSC wheat sequence repository at URGI-INRA. Wheat is the staple food for more than a third of the global human population. As the global population grows, so too does its dependence on wheat. To meet future demands of a projected world population of 9.6 billion by 2050, wheat productivity needs to increase by 1.6 per cent each year. Saskatchewan supplies 10 per cent of the worldâ€™s total exported wheat and is Canadaâ€™s most important grain-producing region. 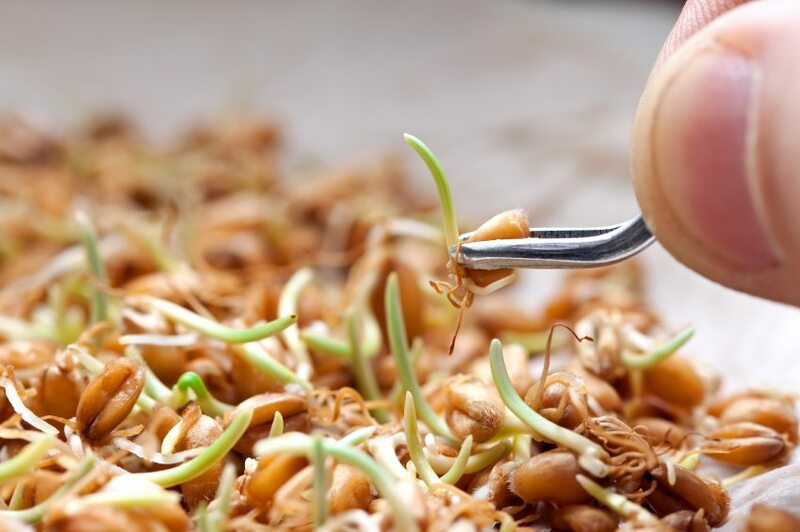 The process of plant breeding can be a long and complicated one, but we talk to three experts who boil it all down.